Chuck Norris knows how the U.S.-Mexico border wall can be funded without spending a single taxpayer dollar: use money from Mexico’s most notorious drug lord, El Chapo. To be fair, Sen. Ted Cruz deserves full credit for the idea, but Norris is throwing his full support behind it and is drawing attention to the important legislation the Texas Republican reintroduced last week. 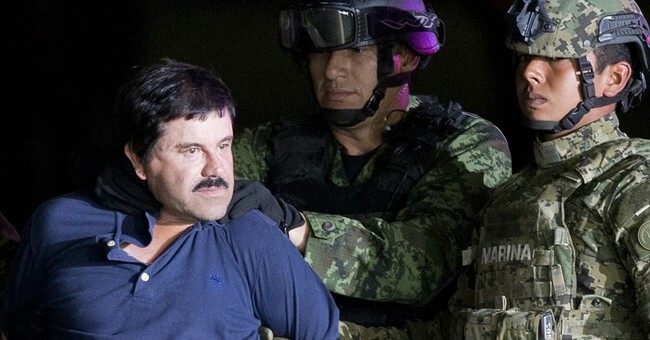 Cruz’s bill, the EL CHAPO Act, “would reserve any amounts forfeited to the U.S. Government as a result of the criminal prosecution of “El Chapo” (formally named Joaquin Archivaldo Guzman Lorea) and other drug lords for border security assets and the completion of the wall along the U.S.-Mexico border,” according to a press release about the legislation’s reintroduction. Norris argued that Cruz's legislation is a "brilliant idea" and one that would also fulfill President Trump's campaign promise to have a Mexican pay for it. “Passing that single bill could be the compromise they all are looking for, and it is the best win-win-win-win solution the Congress and president could ever enact!” he said.